Dalit women leaders have their own rich tradition of protest, dissent and self-assertion. It is time for history to do them justice. As the country celebrated its 70th year of independence, something of rather powerful import went down in Gujarat, the home turf of Prime Minister Narendra Modi and the seat of his ascension. More than 30 Dalit groups from all over Gujarat gathered in Ahmedabad and, in an atmosphere charged with anger and political vigour, pledged never to remove cow carcasses from the streets again. It was a momentous utterance against the absurd yet menacing vigilantism of self-appointed “gau rakshaks” (cow protectors), who attacked a group of Dalits for skinning a cow in Una over a month ago. It was also another monumental representation of a radical political self, against decades of caste-based oppression, humiliation, invisibility and voicelessness. In that electrified gathering, the number of women joining in to protest was remarkable. But the figure of the Dalit woman leader, the mover of masses and spokesperson of Dalit emancipation, is one that is often blindsided. Blindsided by the forces of history, the compulsions of social and cultural memory, and the abundant yet restricted scope of journalistic archives. However, that figure of female Dalit leadership has been ever-present and influential, and has formed the backbone of progressive emancipatory dialogue. Dalit women have, for the longest time, been fighting against patriarchy within their own community as well as an indiscriminate appropriation of their voice by the largely upper-caste Indian feminist movement. The struggle has not only been for equality, but also for a distinct space and voice of their own – one that brings to light their peculiar and distinct circumstances. Manjula Pradeep, the executive director of the Navsarjan Trust and one of the key figures of the Una protests, recalls how a male Dalit activist had once said that Dalit women’s activism is “dividing the movement”. The Dalit identity, just like any other, is far from being a homogenous one. An examination of the women’s role in caste struggles exposes the rigid patriarchy not just within the community but also in the purportedly progressive sphere of activism. The names that come to mind almost instantly, in this context, are those of Savitribai Phule, wife of Jyotiba Phule, and Ramabai Ambedkar, the first wife of B.R. Ambedkar. That the wives of the most important anti-caste leaders played a key role in the movement says something significant about the intersectionality of caste and gender that the movement has been aware of. Both these leaders, in fact, were valiant spokespersons for women’s education, the ills of prostitution and the spread of political awareness among women. 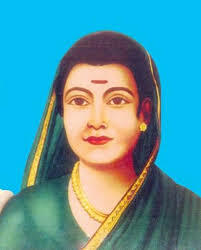 Savitribai is also remembered for her contribution towards the establishment of the first school for girls in 1848. Historical archive material around the work of both Savitribai and Ramabai is meagre, sometimes even inaccurate. 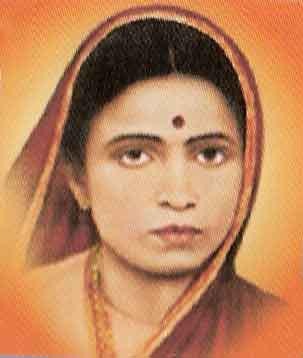 Ramabai does not even have a dedicated Wikipedia page – something that has become the signifier of all that is great and worthy of memorialisation. But there have been legions of others after them who took up arms against the cudgels of multiple patriarchies. Unfortunately, most are nameless and faceless, but the sheer number of such women compels us to sit up and take note of this lacuna in our collective memory. Even before Ambedkar’s call for the famous Mahad Satyagraha, the name of Tulsabai Bansode is recorded as an attendee of a Mahad sabha in 1913. Years later, a large number of women attended the all-important Mahad Satyagraha of 1927. In the space of writing and representing the self, women like Bama, Baby Kamble, Urmila Pawar and several others created an important tradition of the ‘social autobiography’ by penning down their own memoirs with a close commentary on their social conditions. In the field of political commentary, Meenakshi Moon contributed heavily, running the journal Aamhi Maitarani (Women Friends). Dalit women were vocal about the ills of Sanksritisation of their faith, despite their egalitarian aspirations. At one of the conferences of the All India Untouchable Women’s Federation in 1945, a woman named Meenambal Shivraj had remarked that being coopted into Hinduism will take away the ‘untouchable’ women’s right to divorce and of their widows to remarry. Even during the dialogue regarding Ambedkar’s change of religion, several women, in a remarkable display of liberal aspirations, appealed to him not to choose a religion that would “impose the veil” on them. In more recent times, the 1990s saw an effervescence of Dalit women organisations that sought to respond to their own history of oppression and spearhead a dialogue for emancipation from the grassroots. Noteworthy efforts among these were the formation of the National Federation of Dalit Women founded by Ruth Manorama in 1993, the Dalit Mahila Sanghatana in 1995 and the participation of Dalit women in the Durban conference on racism in 1993 and the Beijing International Women’s Conference in 1995. These were significant steps towards the politics of self-representation and self-determination in political spaces. In a bid to lay claim on the Indian cultural calendar, many Dalit women’s organisations identify December 25 as Bharatiya Stree Mukti Diwas, commemorative of Ambedkar’s historical Manusmriti Dahan on December 25, 1927. Again, this was an event that had seen an overwhelming participation of women in the symbolic act of immolating the tenets of patriarchal Brahmanism. Even to this day, Ambedkar’s daughter-in-law, Meerabai, is actively creating awareness around Buddhism, the religion he embraced in 1956. During a conversation with Pradeep, she was especially mindful about mentioning specific names of women hailing from the villages of Gujarat and Haryana who played a key role in mobilising the ‘Chalo Una’ march. She mentioned the names of Dina Parmar, Madhu Koradiya, Niru Chorasiya, Dipika Rathod, Geeta Makwana, Preeti Vaghela, Manjula Makwana, Ranjan Parmar, Manisha Mashal, Rajni Misal and Sushila Prajapati as some of the vocal protestors. As is evidenced by the historiographical work carried out by Pawar and Moon in the 1980s and 1990s, the act of identifying, naming, recording and archiving the names of Dalit women is of prime importance to reclaim their space in history. Pradeep further recounts several cases of ghastly abuse and murder of Dalit women that went unrecorded, unreported and largely unknown. In creating history, the much celebrated value of ‘intersectionality’ fails Dalit women. The Dalit woman leader is neither an oddity nor a product of relatively modern, contemporary education and feminist activism. These leaders have their own rich tradition of protest, dissent and self-assertion. It is time for history to do them justice. Swarnima Bhattacharya is currently pursuing an MPhil from the University of Delhi and researching with the UN on women’s health and sanitation.